Home > Whole House → Budget → Whole House Water Filter Double 20"
Whole House Water Filter Double 20"
Line Size 1/2" 3/4" 1"
20" Double Whole House Water Filter by Crystal Quest is an 7 stage filtration system guaranteed to deliver healthy, better-tasting water for your family. The systems' filtration is distributed into 2 20" x 2.5" cartridges - Standard multi-stage(6-stage) and the Solid Carbon cartridges. 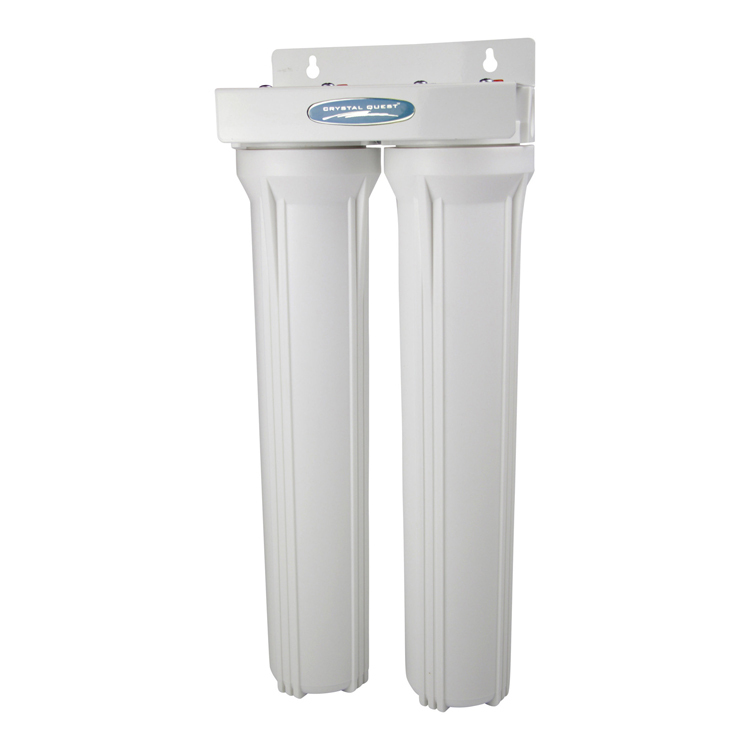 The 20" cartridge units offer more contact with water for a much more effective and efficient filtration process in a compact setup. Its slim design allows it to be installed in areas where space is a primary concern. 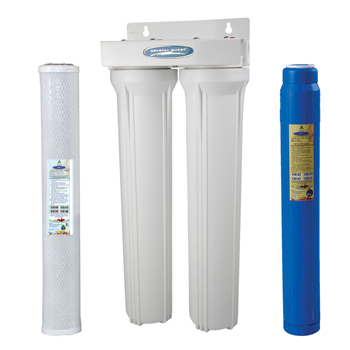 These Whole House Filters are the most comprehensive and cost effective systems available in the market today. 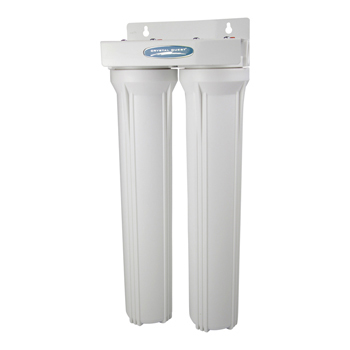 They are engineered for maximum filtration and maximum performance with minimal maintenance. This multi-filtration system easily handles your tough water problem providing you with great tasting, safer, softer, cleaner, better tasting water while removing hundreds of other contaminants. Great for small residential and light commercial applications, homes, apartments or office use! 80,000 gallons of quality water. Compact, easy cartridge change and installation. Re-configurable to suit your water needs. Easily connects to your kitchen faucet. - We recommend installing a pressure reducing valve before the System. This will reduce the water pressure flow to the system and will prevent pressure build-up on the system when not in use. - Comes with wall bracket and pressure release valve. - Available at 1/2", 3/4" or 1" inch NPT input/ output (water line diameter). - Magnets found in the Eagle 1000 and 2000 will be included upon request.